Home » How to Upload DVD Movies to Facebook? However, if you are trying to upload DVD to Facebook, you may get some trouble. In other words, Facebook doesn't support DVD uploading or it is not possible to upload DVD directly. So is there any way to upload DVD to Facebook? Of course Yes. 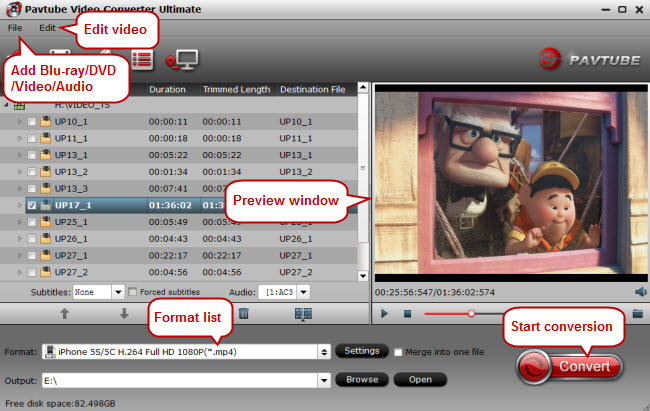 In this post, we will show you how to upload DVD movies to Facebook with a step-by-step guide. Now, just download and install this software on your PC, follow the next guide to start converting DVD to Facebook. How to convert DVD to Facebook within clicks? Windows Version Pavtube Video Converter Ultimate taken as example, Mac Version share the same steps, just keep in mind you have download the right version, Windows platform .exe files cannot be installed on Mac OS - and vice versa. Run this best Facebook video converter on your computer, and click "File" button on upper-left corner to follow "Load from disc" to import the source DVD discs. DVD Folder, DVD IFO File and DVD ISO Image File can also be imported. 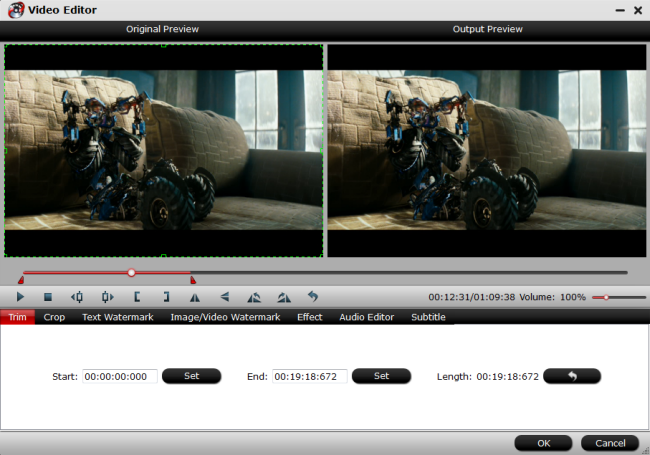 Added files can be previewed and you are free to take snapshots of the DVD movie scenes. 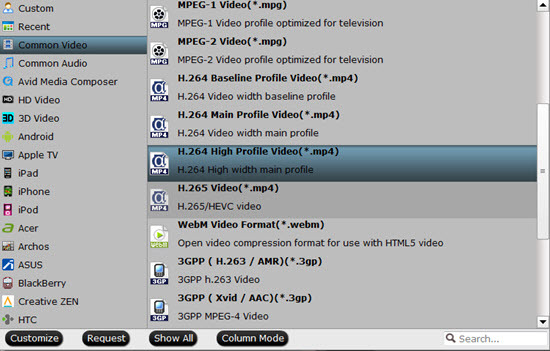 Click the Format bar to choose "Common Video"> " H.264 High Profile Video(*.mp4)" for Facebook. Click "Settings" behind Format bar to open "Profile Settings" window. Here you can adjust the output video codec, bit rate, frame rate and audio codec, bit rate, smaple rate and channels to let them fit with Facebook. Click "Convert" to start ripping DVD movies to Facebook and wait for the conversion to be done. After the conversion, you can freely share the DVD movies on your Facebook with more people. Note: This converter can also generate the best video files from source video/DVD/Blu-ray for uploading to YouTube, Vimeo and other vidoe sharing websites.